Gelatin methacryloyl (GelMA) hydrogels have been widely used for various biomedical applications due to their suitable biological properties and tunable physical characteristics. GelMA hydrogels closely resemble some essential properties of native extracellular matrix (ECM) due to the presence of cellattaching and matrix metalloproteinase responsive peptide motifs, which allow cells to proliferate and spread in GelMA-based scaffolds. GelMA is also versatile from a processing perspective. It crosslinks when exposed to light irradiation to form hydrogels with tunable mechanical properties. It can also be microfabricated using different methodologies including micromolding, photomasking, bioprinting, selfassembly, and microﬂuidic techniques to generate constructs with controlled architectures. Hybrid hydrogel systems can also be formed by mixing GelMA with nanoparticles such as carbon nanotubes and graphene oxide, and other polymers to form networks with desired combined properties and characteristics for speciﬁc biological applications. Recent research has demonstrated the proﬁciency of GelMAbased hydrogels in a wide range of tissue engineering applications including engineering of bone, cartilage, cardiac, and vascular tissues, among others. Other applications of GelMA hydrogels, besides tissue engineering, include fundamental cell research, cell signaling, drug and gene delivery, and biosensing. © 2015 Elsevier Ltd. All rights reserved. * Corresponding author. Biomaterials Innovation Research Center, Division of Biomedical Engineering, Department of Medicine, Brigham and Women's Hospital, Harvard Medical School, Boston 02139, MA, USA. ** Corresponding author. Department of Chemical Engineering, Northeastern University, Boston, MA 02115-5000, USA. E-mail addresses: [email protected] (N. Annabi), [email protected] (A. Khademhosseini). 1 Kan Yue and Grissel Trujillo-de Santiago contributed equally to this work. http://dx.doi.org/10.1016/j.biomaterials.2015.08.045 0142-9612/© 2015 Elsevier Ltd. All rights reserved. Fig. 1. Synthesis and characterization of GelMA hydrogels. (A) Scheme for preparation of photocrosslinked GelMA hydrogel. (i) Reaction of gelatin and methacrylic anhydride for grafting of methacryloyl substitution groups. The modiﬁcation occurs at primary amine and hydroxyl groups. The RGD domains are illustrated as red segments along the GelMA chains, and their chemical structure is depicted within the inset. (ii) Representative reactions during the photocrosslinking of GelMA to form hydrogel networks. Free radicals are generated from photoinitiators, which initiate the chain polymerization of the methacryloyl substitutions. Propagation occurs between methacryloyl groups located on the same chain and on different chains. Termination occurs between two propagating chains or between one propagating chain and a second radical. Chain transfers and many other minor reactions are not shown, for clarity. (B) The compressive modulus of GelMA hydrogels reported by several studies [6,70,71,74,85,90]. (C) SEM images of GelMA hydrogels, showing the effect of the degree of methacryloyl substitution on the pore sizes of GelMA hydrogels. Adapted from Chen et al. , with permission from Wiley, copyright 2012. Fig. 2. Microfabrication techniques used to produce GelMA hydrogels constructs. (A) Schematic representation of photopatterning of GelMA using a pre-patterned photomask. (B) Stacked layers of patterned GelMA hydrogels fabricated using a micro-mirror projection stereolithography system. Adapted from Gauvin et al. , with permission from Elsevier, copyright 2012. (C) Schematic representation of a ﬁber-assisted micromolding technique for production of parallel microgrooved surfaces that serve as a template for micropatterning GelMA. Adapted from Hosseini et al. , with permission from Wiley, copyright 2014. (D) Schematic representation of the self-assembly of microgels fabricated by photopatterning. Adapted from Zamanian et al. , with permission from Wiley, copyright 2010. (E) Examples of the microﬂuidics of GelMA hydrogels microfabrication. (i) Schematic representation of the method for coating microchannels with GelMA hydrogel. Adapted from Annabi et al. , with permission from The Royal Society of Chemistry, copyright 2013. (ii) Fabrication of spherical GelMA microhydrogels using a microﬂuidic ﬂow-focusing device. Adapted from Cha et al. , with permission from the American Chemical Society, copyright 2014. (F) Schematic representation of the bioprinting method for fabricating microchannels inside a GelMA hydrogel using an agarose template. Adapted from Bertassoni et al. , with permission from The Royal Society of Chemistry, copyright 2014. (G) Biotextile techniques as applied to the microfabrication of hybrid alginate and GelMA ﬁbers and their assembly; (i) a representative SEM image of fabricated ﬁber; (ii) picture and micrograph of a typical woven fabric; (iii) a braided construct from NIH 3T3 ﬁbroblasts, HUVECs, and hepatocytes (HepG2) as a liver model. Adapted from Tamayol et al. with permission from Wiley, copyright 2015.
around a gold rod . The rod surface was decorated with a layer of HUVEC and NIH 3T3 cells. The cell layer was released from the rod and printed onto the GelMA surface by applying voltage (1 V) to the rod ends. Removal of the rod from the block of GelMA left behind a vessel-like structure. Further cell proliferation at the vessel walls was promoted by continuous perfusion of culture medium. One of the important features of the micromolding technology is the ability to create microfabricated hydrogels with complex 3D structures with high resolution. The combined use of templates and photocrosslinking provides a powerful and straightforward strategy to engineer high resolution complex GelMA microstructures. 3.3. Self-assembled GelMA hydrogels Self-assembly has been exploited to create microstructural features in GelMA based scaffolds. For example, self-assembly of cell-laden GelMA hydrogel modules of different geometries with micro-scale range (i.e., cubes of around 1000 mm3 in volume) was demonstrated by placing the cubes of GelMA, onto the surface of a higher density hydrophobic liquid (i.e., CCl4 or perﬂuorodecalin). Formation of complex aggregates of the microgels was observed, due to surface tension that drove minimization of the free energy of the system (Fig. 2D) . These aggregates could be consolidated by a second crosslinking step using UV light irradiation. This simple technique is powerful in the context of building complex and relevant tissue engineering architectures. The microgel blocks could encapsulate different cell types, which were aggregated to design multi-cellular structures. Precise control of the assembly process can be achieved by functionalizing the surface of the cell-laden hydrogel blocks. For example, Qi et al. fabricated cube-shaped hydrogels functionalized with single-stranded DNA segments . The authors showed that cubes loaded with long complementary DNA strains could preferentially bind to each other. Consequently, local aggregations and thus, the microarchitectures, could be directed by using cell-laden hydrogel blocks with complementary DNA strands . An alternative strategy to take advantage of the self-assembly phenomenon in tissue engineering applications is the use of magnetic forces or magnetic alignment. In one embodiment of this strategy, Xu et al. fabricated magnetic GelMA and PEG microhydrogels and aligned them using a chamber with an array of magnetic rods . The authors showed that complex 3D structures, composed of these magnetic microgels, could be assembled using simple strategies. For example, sequential immersion of a magnetic rod in three different magnetic microgel suspensions resulted in the fabrication of a structure composed of three sequential layers of cell-laden hydrogels. Tasoglu et al. have recently shown that cell-laden hydrogel structures (i.e., GelMA hydrogels) can be assembled, in a contactless manner, using a levitation magnetic-based strategy . The authors showed that hydrogel building blocks with complementary geometry can be easily self-assembled using magnetic levitation when ﬂoating in a paramagnetic solution (prepared by addition of gadolinium ions). As a spontaneous process driven by thermodynamics, selfassembly is a useful “bottom-up” approach to obtain complex 3D architectures from the controlled aggregation of sub-units or building blocks. However, the study of microgel self-assembly towards ordered structures is in its early stage, and precise control over the self-assembly process to mimic the delicate structures of native tissues is still an important challenge. Introduction of complementary DNA strands has been a promising solid step towards this goal. Designing and understanding new self-assembling microgel systems will provide useful insights and tools to further develop tissue engineering platforms. Fig. 3. Examples of GelMA-based hybrid hydrogels. (A) Schematic illustration of the preparation of GelMAecarbon nanotube (CNT) hybrids. GelMA coated CNTs are mixed with GelMA prepolymer and then cross-linked using UV to develop porous structures with improved mechanical and conductive productivities. Adapted from Shin et al. with permission from The American Chemical Society, copyright 2013. (B) Scheme of the preparation of GelMA-MeGO hybrid. Red points indicate the photocrosslinkable methacryloyl substitution groups. Adapted from Cha et al. with permission from Wiley, copyright 2014. (C) Cartoon illustration of the GelMA-gold nanoparticles (GNP) hybrid and representation of its application as scaffolds for bone regeneration. The addition of GNPs enhances bone recovery in an animal model. After 8 weeks, bone defects induced in rabbits recovered sooner when treated with GelMA hydrogels with 0.071 and 0.20 mg/mL of GNPs (Gel-GNP2 and GelGNP3 respectively) than with pristine GelMA hydrogels (Gel). Adapted from Heo et al. with permission from The Royal Society of Chemistry, copyright 2014. (D) Cytoskeleton and nuclei staining (F-actin/DAPI) for HUVEC-laden HAMA-GelMA hybrid hydrogels in 3D. By changing the concentration of HAMA and GelMA, it is possible to fabricate hybrid hydrogels with different stiffness that allows for tunable cellular response. Cell spreading images are taken at day 7. Scale bars represent 100 mm. Adapted from Camci-Unal et al. with permission from ACS publications, copyright 2013. (E) Hybrid construct made with GelMA added to a framework made with methacrylated poly(hydroxymethylglycolide-co-ε-caprolactone) and poly-ε-caprolactone. Adapted from Boere et al. with permission from Elsevier, copyright 2014. (F) Embryoid bodies encapsulated in GelMA/PEG hybrid microgels. Adapted from Qi et al. with permission from Wiley, copyright 2010.
particles . They demonstrated that this addition of CDM particles to GelMA signiﬁcantly stimulated the formation of a cartilage template by mesenchymal stem cells (MSCs) in a GelMA hydrogelbased MSC culture system. The fact that the native ECM is by itself a highly heterogeneous environment composed of numerous components further justiﬁes the idea of developing hybrid hydrogels including more than one biopolymer. The combination of GelMA with other natural polymers offers additional dimensions for tuning the properties of hybrid hydrogels towards ECM-mimicking scaffolds. Future studies might focus on optimizing the compositions of GelMA-based hybrid hydrogel systems to meet the requirements of speciﬁc tissue engineering applications. 4.4. Hybrid hydrogels based on GelMA and synthetic polymers Several authors have reported the synthesis and characterization of hybrid hydrogels based on synthetic polymers and GelMA [6,7,94e96]. For example, Hutson et al. reported the preparation of hybrid hydrogels composed of GelMA (up to 15% w/v) and PEG (up to 10% w/v) . The combination of GelMA and photocrosslinkable PEG derivatives provided hybrid hydrogels with tunable physical and biological properties. Adding GelMA (5e15% w/v) to PEG (5 and 10% w/v) proportionally increased ﬁbroblast surface binding afﬁnity and spreading, when compared to pure PEG hydrogels . For instance Hutson et al. observed that the area coverage of ﬁbroblasts cultured on PEG hydrogel surfaces was less than 1% after 6 h of culture. In contrast, ﬁbroblasts growing on 10% GelMA-10%PEG covered more than 10% of the area of culture within the same time period. Encapsulated ﬁbroblasts in the GelMA-PEG hybrid hydrogels could form 3D cellular networks after culturing for 7 days, which was not observed in pure PEG hydrogels . In another study, Qi et al. exploited the differences between GelMA and PEG to control the bipolar environments that dictated cell growth. They combined micromolding and photomasking techniques to spatially organize 3D hybrid hydrogel arrays based on GelMA and PEG derivatives (Fig. 3F) . EBs derived from mouse embryonic stem cells (ESCs) exhibited polarized developments with patterned vasculogenic differentiation. Importantly, the polarized differentiation of each EB in the engineered bipolar ECM was associated with potential cellular interactions between the different portions of the EBs exposed to different microenvironments . Nanopatterned hybrid scaffolds, based on GelMA, HA, and PEG dimethacrylate, were studied by Nemeth et al. with the aim of inducing chondrogenesis from dental pulp stem cells (DPSCs). Morphological observations, together with gene and protein expression analysis, showed that both nanopatterning and the addition of HA component drove DPSCs to undergo chondrogenic differentiation. n et al. used PEG-GelMA-HAMA hydrogels as a Similarly, Pedro model matrix to mimic the glioma in order to study human glioblastoma multiforme (hGBM), the most common and aggressive form of brain cancer . In another study, Seraﬁm et al. characterized a family of hybrid hydrogels made from GelMA and polyacrylamide (PAA) by a simple “one-pot” synthesis using photopolymerization . The authors presented a correlation between composition and hybrid PAA-GelMA properties relevant to tissue culture and drug delivery applications, such as swelling, mechanical properties, porosity of the resulting covalent PAAGelMA network, and biodegradability . Boere et al. reported a fairly elaborated process to prepare novel hybrid materials by grafting poly-methacrylated-poly(hydroxymethylglycolide-co-ε-caprolactone)-poly(ε-caprolactone) (pMHMGCL-PCL) to the surface of GelMA hydrogels (Fig. 3E) . Fig. 4. The speciﬁc characteristics and functions of each tissue impose particular tissue engineering requirements. In recent literature reports, GelMA hydrogels have proven to be a ﬂexible and highly tunable platform for diverse tissue engineering applications in the areas of neural, cardiovascular, cartilage, bone, muscle, liver, and kidney engineering. Fig. 5. Representative examples of applications of GelMA hydrogels in tissue engineering. (A) Confocal images of 3D cord formation of HUVEC cells on GelMA micropatterned constructs (scale bar: 100 mm). Adapted from Nikkhah et al. with permission from Elsevier, copyright 2012. (B) Transdermal polymerization of GelMA in vivo, and the subcutaneous scaffold after 7 days showing vascularization (scale bar: 1 cm). Adapted from Lin et al. with permission from Elsevier, copyright 2013. (C) Engineered triangular swimmers made of GelMA-CNT showing spontaneous linear traveling (Each ruler marker is 1 mm). Adapted from Shin et al. with permission from The American Chemical Society, copyright 2013. (D) Fluorescence images of assembly of microgels structures with co-culture of 3T3 ﬁbroblasts and HepG2 cells (scale bar: 100 mm). Adapted from Zamanian et al. with permission from Wiley, copyright 2010. (E) (i) GelMA scaffolds before and after 12 days of mineralization (scale bar: 2 mm); (ii) SEM images of GelMA hydrogels before and (iii) after mineralization (scale bar: 50 mm). Adapted from Zhou et al. with permission from The Royal Society of Chemistry, copyright 2014.
ﬁber-like tissues and developed the capability for spontaneous beating . Chen et al. used a different microﬂuidic setting and found that shear stress induced by the medium ﬂow had a significant effect on cellecell interactions. The combined effect of the presence of the valvular endothelial cells and the shear stress induced by the ﬂow hindered the pathological differentiation of VICs into a-smooth muscle actin-positive myoﬁbroblast . Progresses have been made in the development of GelMA based scaffolds for regeneration of load-bearing tissues such as skeletal muscle, bone, and cartilage. An important challenge in designing scaffolds for these types of tissues is to achieve a set of mechanical properties that closely mimic those observed in native tissues. As discussed in previous sections, several successful strategies have been reported to reinforce GelMA by combining it with other components such as CNTs, GO, inorganic nanoparticles, other biopolymers, and synthetic polymers. Mineralization is a particularly important property for bone tissue engineering and is needed to promote osteo-conduction. Recent reports demonstrated promising applications of GelMA hydrogels for the fabrication of functional bone scaffolds (Fig. 5E) [78,81,82]. Zuo et al. also used GelMA hydrogels to build multiplecompartment, osteon-like structures with interconnected channels, aiming to resemble the haversian canal in native bone tissues. In vitro tests showed that human osteosarcoma cells (MG63) and HUVEC cells, growing in different compartments of the constructs, expressed osteogenic and vasculogenic genes, respectively . antibiotic by varying the composition of the hybrid (i.e., increasing the fraction of PAA). While pristine GelMA hydrogels released only 50% of the antibiotic in 10 h, PAA-GelMA hybrids (1.6:1) released 95% of it in the same period of time. Another use of GelMA hydrogels in controlled release applications was introduced by Jeon et al., who dispersed drug-laden GelMA hydrogel droplets into an hMSC-laden bulk matrix composed of oxidized methacrylated alginate (OMA) . This work offers proof-of-principle for sustained molecule delivery to encapsulated cells for different biomedical applications, such as immunomodulation and stem cell therapeutic applications, among others. Other strategies have been devised to achieve a precise drug control release using GelMA hydrogel. For example, dielectrophoresis (DEP) techniques can be used to engineer accurate 3D concentration gradients of micro and nanoparticles loaded with drugs (or other compounds) in GelMA hydrogels (Fig. 6A) . The nanoparticle concentration gradient and the degree of crosslinking of the hydrogels offer the possibility of customizing programmed release proﬁles. Alternatively, cell-laden GelMA hydrogels engineered with 3D gradients can be used as research tools to study the effect of chemical gradients in cell systems. Recently, the use of a cell-laden GelMA microarray system for the massive screening of proper osteogenic differentiation conditions of MSCs was demonstrated . GelMA hydrogels can also be used, if properly functionalized, for non-viral gene delivery applications. For example, GelMA hydrogels loaded with GO nanosheets functionalized with PEI were used as effective vehicles for transfection of endothelial cells and myocardial tissues in a rat model . GelMA has also found application niches in fundamental research. For example, it has been used to devise chips for the capture, culture, and study of a single neuron (Fig. 6B)  and to build 3D microﬂuidic systems (or components of them) for cell culture applications [38,107]. Recently, Topkaya et al. used GelMA hydrogels to fabricate a proof-of-principle electrochemical sensor for DNA hybridization (Fig. 6C) . Fig. 6. Examples of applications of GelMA hydrogels other than in tissue engineering. (A) A gradient system made with GelMA hydrogels using dielectrophoresis. (i) Example of a device with four different zones of gradients; (ii) representation of a method to evaluate the viability of cells (C2C12 myoblasts) when cultured on GelMA gradient hydrogels containing a drug (6-hydroxydopamine: 6-OHDA) immobilized on gold microparticles. Adapted from Ahadian et al. with permission from Elsevier, copyright 2014. (B) GelMA hydrogel ring as a device for the capture, culture, and study of a single neuron cell. (i) Calcein-AM/DAPI stained image and (ii) merged image of the single neuron cell encapsulated in the assembled GelMA hydrogel loop (scale bar: 150 mm). Adapted from Fan et al. with permission from The Royal Society of Chemistry, copyright 2012. (C) Illustration of the use of GelMA in an electrochemical biosensor to detect DNA hybridization. Adapted from Topkaya et al. with permission from Elsevier, copyright 2015. 6. Conclusions and outlook We have reviewed several important aspects of GelMA-based hydrogel systems for biomedical applications. GelMA is developed from a natural polymer gelatin via one-step chemical modiﬁcation. The introduction of photocrosslinkable methacryloyl substitution groups enables convenient and fast gelation upon exposure to light irradiation at the presence of photoinitiators. Many physical parameters of GelMA hydrogels, such as mechanical properties, pore sizes, degradation rates, and swell ratio can be readily tailored by changing the degree of methacryloyl substitution, concentration of the GelMA prepolymer, initiator concentration, and UV exposure time. Moreover, the resulting GelMA hydrogels retain the excellent biocompatibility and bioactivity of gelatin, such as promoting adhesion, spreading, and proliferation of various cell lines, due to the existence of cell adhesive RGD motifs and MMP-degradable amino acid sequences. Notably, this photocrosslinkable biomaterial allows construction of engineered cellladen microconstructs with deﬁned 3D architecture and topology via a panel of different microfabrication techniques, such as photopatterning, micromolding, and bioprinting. The 3D cell-laden constructs based on GelMA hydrogels could be designed to mimic the structure of native tissues, and thus promises their applications in tissue engineering and regenerative medicine. Another important ﬁeld is to design hybrid hydrogels by mixing GelMA with other materials, such as inorganic particles, carbon nanomaterials, biopolymers, and synthetic polymers. This approach could generate hybrid materials that combine the advantageous properties of the other components, such as superior mechanical properties and conductivity, with the bioactivity of GelMA. GelMA based biomaterials will continue to serve as promising candidates in many other biomedical applications that remain to be explored. In the near future, novel microfabrication techniques will further expand the spectrum of applications of GelMA based scaffolds. Challenges remain at both extremes of the length-scales that are relevant to tissue engineering. The facsimile fabrication of hollow micro-capillaries remains to be fully addressed. The engineering approaches to produce vessels with lumens in the microscale have yet to be improved. The combined use of sacriﬁcial ﬁlaments and microﬂuidics (or bio-printing) appears to be a part of the solution. In the other side of the spectrum of sizes, the construction of functional organoids and complex 3D tissues has to overcome oxygen transport limitations associated with length-scales in the order of centimeters. Here, self-assembly might become a key resource. The design of smart GelMA-based hydrogelsdcapable of sealing (and even healing) surgical injuries , releasing oxygen (among other nutrients), or capturing and removing inhibitory cell byproductsdis a future direction for GelMA studies. Acknowledgments NA acknowledges the support from the National Health and Medical Research Council. The authors acknowledge funding from the National Science Foundation (EFRI-1240443), IMMODGEL (602694), and the National Institutes of Health (EB012597, AR057837, DE021468, HL099073, AI105024, AR063745). MMA gratefully acknowledge the institutional funding received from gico de Monterrey (seed funding to Strategic Research Tecnolo Groups, 2015) and funding provided from the Consejo Nacional de xico-CONACyT (sabbatical scholarship Ciencia y Tecnología, Me 262130) and CONACyT-Sistema Nacional de Investigadores (SNI scholarship 26048). MMA, GTdS and AK acknowledge funding from MIT International Science and Technology Initiatives (MISTI). GTdS  n Me xico en Harvard and acknowledges funding form Fundacio CONACYT (posdoctoral scholarship 234713). References  N. Annabi, A. Tamayol, J.A. Uquillas, M. Akbari, L.E. Bertassoni, C. Cha, et al., 25th anniversary article: rational design and applications of hydrogels in regenerative medicine, Adv. Mater. 26 (2014) 85e124. J. Thiele, Y. Ma, S.M.C. Bruekers, S. Ma, W.T.S. Huck, 25th anniversary article: designer hydrogels for cell cultures: a materials selection guide, Adv. Mater. 26 (2014) 125e148. D.L. Alge, K.S. Anseth, Bioactive hydrogels: lighting the way, Nat. Mater. 12 (2013) 950e952. Y. Luo, M.S. Shoichet, A photolabile hydrogel for guided three-dimensional cell growth and migration, Nat. Mater. 3 (2004) 249e253. J.L. 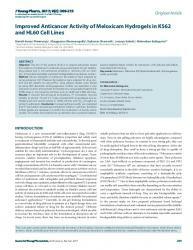 West, Protein-patterned hydrogels: customized cell microenvironments, Nat. Mater. 10 (2011) 727e729. J.W. Nichol, S.T. Koshy, H. Bae, C.M. Hwang, S. Yamanlar, A. Khademhosseini, Cell-laden microengineered gelatin methacrylate hydrogels, Biomaterials 31 (2010) 5536e5544. C.B. Hutson, J.W. Nichol, H. Aubin, H. Bae, S. Yamanlar, S. Al-Haque, et al., Synthesis and characterization of tunable poly(ethylene glycol): gelatin methacrylate composite hydrogels, Tissue Eng. Part A 17 (2011) 1713e1723. M. Nikkhah, N. Eshak, P. Zorlutuna, N. Annabi, M. Castello, K. Kim, et al., Directed endothelial cell morphogenesis in micropatterned gelatin methacrylate hydrogels, Biomaterials 33 (2012) 9009e9018. Y.-C. Chen, R.-Z. Lin, H. Qi, Y. Yang, H. Bae, J.M. Melero-Martin, et al., Functional human vascular network generated in photocrosslinkable gelatin methacrylate hydrogels, Adv. Funct. Mater. 22 (2012) 2027e2039. V. Hosseini, S. Ahadian, S. Ostrovidov, G. Camci-Unal, S. Chen, H. Kaji, et al., Engineered contractile skeletal muscle tissue on a microgrooved methacrylated gelatin substrate, Tissue Eng. Part A 18 (2012) 2453e2465. M.B. Chen, S. Srigunapalan, A.R. Wheeler, C.A. Simmons, A 3D microﬂuidic platform incorporating methacrylated gelatin hydrogels to study physiological cardiovascular cellecell interactions, Lab a Chip 13 (2013) 2591e2598. L.E. Bertassoni, J.C. Cardoso, V. Manoharan, A.L. Cristino, N.S. Bhise, W.A. Araujo, et al., Direct-write bioprinting of cell-laden methacrylated gelatin hydrogels, Biofabrication 6 (2014) 024105. R.-Z. Lin, Y.-C. Chen, R. Moreno-Luna, A. Khademhosseini, J.M. Melero-Martin, Transdermal regulation of vascular network bioengineering using a photopolymerizable methacrylated gelatin hydrogel, Biomaterials 34 (2013) 6785e6796. A.I. Van Den Bulcke, B. Bogdanov, N. De Rooze, E.H. Schacht, M. Cornelissen, H. Berghmans, Structural and rheological properties of methacrylamide modiﬁed gelatin hydrogels, Biomacromolecules 1 (2000) 31e38. W. Schuurman, P.A. Levett, M.W. Pot, P.R. van Weeren, W.J.A. Dhert, D.W. Hutmacher, et al., Gelatin-methacrylamide hydrogels as potential biomaterials for fabrication of tissue-engineered cartilage constructs, Macromol. Biosci. 13 (2013) 551e561. E. Kaemmerer, F.P.W. Melchels, B.M. Holzapfel, T. Meckel, D.W. Hutmacher, D. Loessner, Gelatine methacrylamide-based hydrogels: an alternative threedimensional cancer cell culture system, Acta Biomater. 10 (2014) 2551e2562. A. Seraﬁm, C. Tucureanu, D.-G. Petre, D.-M. Dragusin, A. Salageanu, S. Van Vlierberghe, et al., One-pot synthesis of superabsorbent hybrid hydrogels based on methacrylamide gelatin and polyacrylamide. Effortless control of hydrogel properties through composition design, New J. Chem. 38 (2014) 3112e3126. T. Billiet, E. Gevaert, T. De Schryver, M. Cornelissen, P. Dubruel, The 3D printing of gelatin methacrylamide cell-laden tissue-engineered constructs with high cell viability, Biomaterials 35 (2014) 49e62. Y. Liu, M.B. Chan-Park, A biomimetic hydrogel based on methacrylated dextran-graft-lysine and gelatin for 3D smooth muscle cell culture, Biomaterials 31 (2010) 1158e1170. P.E. Van den Steen, B. Dubois, I. Nelissen, P.M. Rudd, R.A. Dwek, G. Opdenakker, Biochemistry and molecular biology of gelatinase B or matrix metalloproteinase-9 (MMP-9), Crit. Rev. Biochem. Mol. Biol. 37 (2002) 375e536. P.H. Maurer, II. 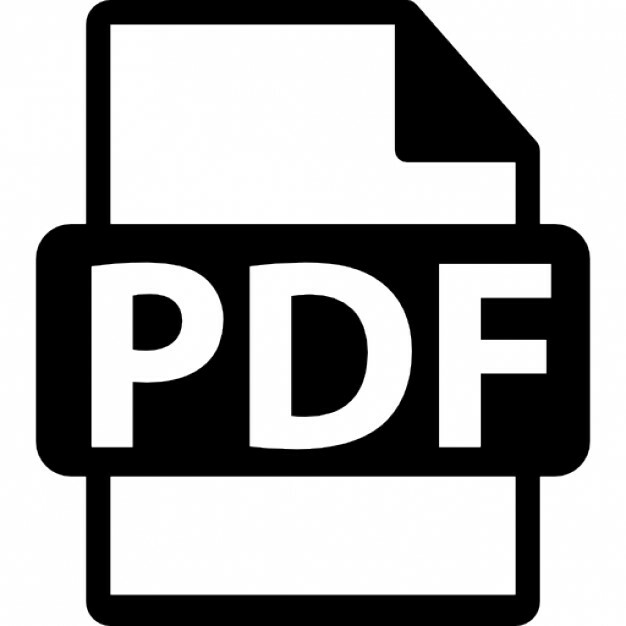 Antigenicity of gelatin in rabbits and other species, J. Exp. Med. 100 (1954) 515e523. S. Gorgieva, V. Kokol, Collagen-vs. Gelatine-based Biomaterials and Their Biocompatibility: Review and Perspectives, INTECH Open Access Publisher, 2011. M. Djabourov, P. Papon, Inﬂuence of thermal treatments on the structure and stability of gelatin gels, Polymer 24 (1983) 537e542. A. Jayakrishnan, S.R. Jameela, Glutaraldehyde as a ﬁxative in bioprostheses and drug delivery matrices, Biomaterials 17 (1996) 471e484. L.H.H. Olde Damink, P.J. Dijkstra, M.J.A. Van Luyn, P.B. Van Wachem, P. Nieuwenhuis, J. Feijen, Crosslinking of dermal sheep collagen using hexamethylene diisocyanate, J. Mater. Sci. Mater. Med. 6 (1995) 429e434. H.-W. Sung, H.-L. Hsu, C.-C. Shih, D.-S. Lin, Cross-linking characteristics of biological tissues ﬁxed with monofunctional or multifunctional epoxy compounds, Biomaterials 17 (1996) 1405e1410. H. Petite, I. Rault, A. Huc, P. Menasche, D. Herbage, Use of the acyl azide method for cross-linking collagen-rich tissues such as pericardium, J. Biomed. Mater. Res. 24 (1990) 179e187. 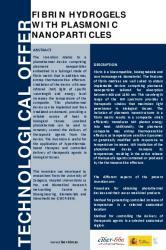 Biomaterials 33 (2012) 48e58. A. Fathi, S. Lee, A. Breen, A.N. Shirazi, P. Valtchev, F. Dehghani, Enhancing the mechanical properties and physical stability of biomimetic polymer hydrogels for micro-patterning and tissue engineering applications, Eur. Polym. J. 59 (2014) 161e170. C.L. Nemeth, K. Janebodin, A.E. Yuan, J.E. Dennis, M. Reyes, D.-H. Kim, Enhanced chondrogenic differentiation of dental pulp stem cells using nanopatterned PEG-GelMA-HA hydrogels, Tissue Eng. Part A 20 (2014) 2817e2829. S. Pedron, B.A.C. Harley, Impact of the biophysical features of a 3D gelatin microenvironment on glioblastoma malignancy, J. Biomed. Mater. Res. Part A 101 (2013) 3404e3415. K.W.M. Boere, J. Visser, H. Seyednejad, S. Rahimian, D. Gawlitta, M.J. van Steenbergen, et al., Covalent attachment of a three-dimensionally printed thermoplast to a gelatin hydrogel for mechanically enhanced cartilage constructs, Acta Biomater. 10 (2014) 2602e2611. M. Eslami, N.E. Vrana, P. Zorlutuna, S. Sant, S. Jung, N. Masoumi, et al., Fiberreinforced hydrogel scaffolds for heart valve tissue engineering, J. Biomater. Appl. 29 (2014) 399e410. Y. Zuo, W. Xiao, X. Chen, Y. Tang, H. Luo, H. Fan, Bottom-up approach to build osteon-like structure by cell-laden photocrosslinkable hydrogel, Chem. Commun. 48 (2012) 3170e3172. P.A. Levett, F.P.W. Melchels, K. Schrobback, D.W. Hutmacher, J. Malda, T.J. Klein, Chondrocyte redifferentiation and construct mechanical property development in single-component photocrosslinkable hydrogels, J. Biomed. Mater. Res. Part A 102 (2014) 2544e2553. J. Visser, F.P.W. Melchels, J.E. Jeon, E.M. van Bussel, L.S. Kimpton, H.M. Byrne, et al., Reinforcement of hydrogels using three-dimensionally printed microﬁbres, Nat. Commun. 6 (2015), http://dx.doi.org/10.1038/ ncomms7933. X. Zhao, Q. Lang, L. Yildirimer, Z.Y. Lin, W. Cui, N. Annabi, et al., Photocrosslinkable gelatin hydrogel for epidermal tissue engineering, Adv. Healthc. Mater. (2015), http://dx.doi.org/10.1002/adhm.201500005. O. Jeon, D.W. Wolfson, E. Alsberg, In-situ formation of growth-factor-loaded coacervate microparticle-embedded hydrogels for directing encapsulated stem cell fate, Adv. Mater. 27 (2015) 2216e2223. A. Dolatshahi-Pirouz, M. Nikkhah, A.K. Gaharwar, B. Hashmi, E. Guermani, H. Aliabadi, et al., A combinatorial cell-laden gel microarray for inducing osteogenic differentiation of human mesenchymal stem cells, Sci. Rep. 4 (2014), http://dx.doi.org/10.1038/srep03896. R. Rahim, O. Manuel, D. Amy, P. Tejasvi, R.D. Mehmet, K. Ali, et al., A Januspaper PDMS platform for aireliquid interface cell culture applications, J. Micromech. Microeng. 25 (2015) 055015. S.N. Topkaya, Gelatin methacrylate (GelMA) mediated electrochemical DNA biosensor for DNA hybridization, Biosens. Bioelectron. 64 (2015) 456e461. M. Kazemzadeh-Narbat, N. Annabi, A. Khademhosseini, Surgical sealants and high strength adhesives, Mater. Today 18 (2015) 176e177.